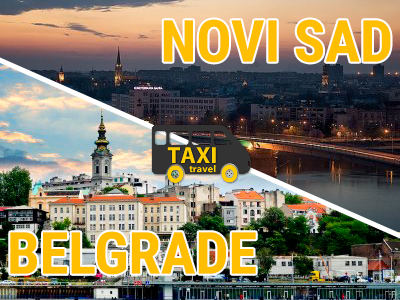 Transfer to and from Belgrade airport “Nikola Tesla” or the city of Belgrade to the address that the passenger chooses. We have everyday departures from addresses in Novi Sad that passenger chooses,we wait for our passengers at the airport and we drive back from the airport to the address the passenger chooses. All of our vehicles are comfortable, have a/c , we can provide child seats if necessary and all of our drivers are professionals. We are not taxi service, we are a travel agency that offers a high quality transportation. If you contact us in timely fashion ( one day in advance) be sure that we will have a seat/vehicle for you and your needs. Private transfers are transfers without any additonal passengers, they are fully formed based on the needs of a client , from choosing the time the client wishes to go, to choosing any address in both Novi Sad and Belgrade he/she wishes to go to. The routes for these transfers are Novi Sad-Belgrade freeway(E75) or Belgrade-Zagreb freway(E70),depending on the starting/ending address. For these transfers the reservations are needed to be made at least one day in advance. For reservation less than 3 hours before the needed transfer (to or from Novi Sad)additional charge of 1000RSD is applied per vehicle.